Cult Epics Presents MOON CHILD 3-DISC LIMITED EDITION – Including Bonus CD Soundtrack by Dead Can Dance. Coming on the heels of Villaronga's unforgettable 1986 film, IN A GLASS CAGE, MOON CHILD is a mystical fantasy film for adults. 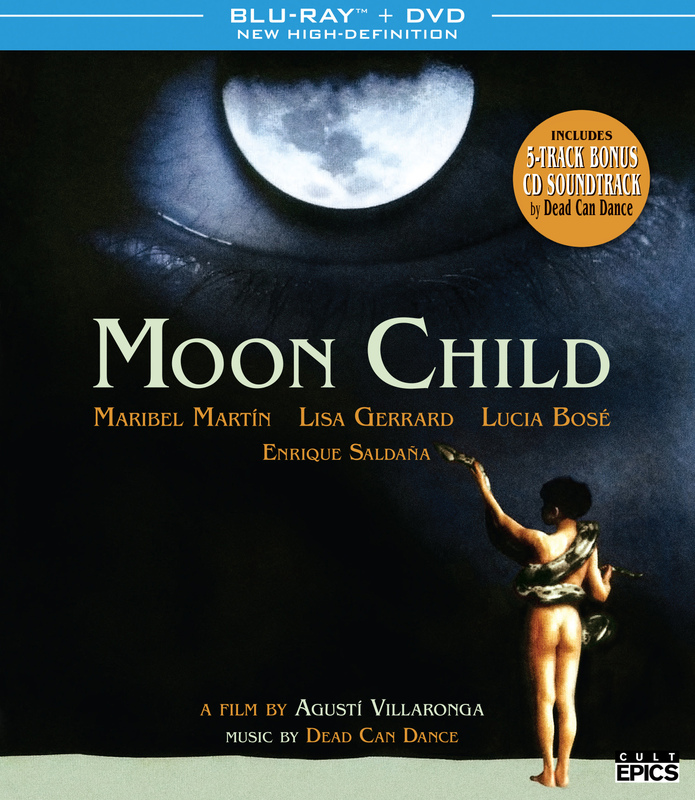 Presented in a new High Definition transfer and boasting an unreleased soundtrack by the band Dead Can Dance, MOON CHILD is a thoroughly unique gift to cinema and music fans alike. Includes a Bonus CD with 5 remastered tracks by Dean Can Dance. Trailer does not reflect Blu-ray image quality. - Isolated Score by Dead Can Dance (50 minutes). - CD Soundtrack by Dead Can Dance.